Marvel Legends HeroScape has finally arrived at HouseMouseGames.com and is shipping out to eager fans, all over the world. I received mine last Friday and since I’ve had some good time to play with these figures already, Truth has graciously allowed me to write a quick review of this inaugural Superhero Master Set. I just had wave 7 delivered express to my door courtousey Sandra from HouseMouseGames. The paints and sculpts all look fantastic. 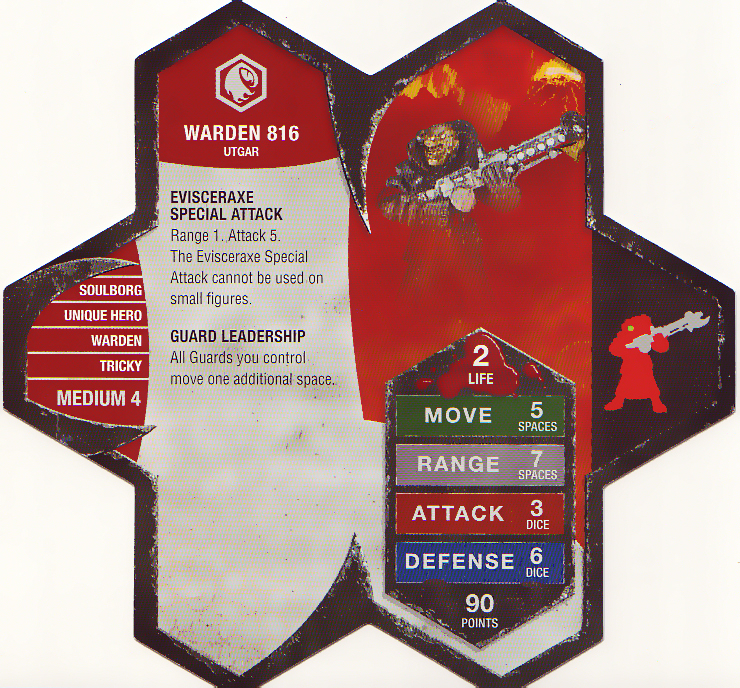 The Warden is a Soulborg from a never before seen planet: Isadora. * Isadora has been mentioned before though. * It is identified as a prison planet in the Blastatrons bio, as seen on the official site. ** I really like his sculpt, looks like something out of an Indy Comic. * His Guard Leadership ability gives a new reason to draft the under-used Zettians. * 1-hex grass tiles will be added to each end of the wall and add'l start zone hex will be designated to make 24. * the two big trees will be raised one level. Wave 7 Arriving This Week! House Mouse Games reports that Wave 7, along with Marvel Heroscape, arrives at their door this week, tomorrow to be specific! Sandra from House Mouse claims that she has PLENTY of sets ready to ship out, so it's still not to late to order and be among the first to satisfy your craving for new heroscape. We are all in celebration mode in This Thread where Sandra made the announcement.